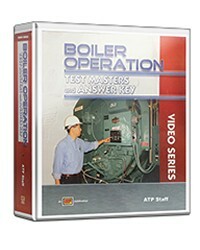 Easy to use as a refresher for boiler licensing examinations and for industrial and vocational boiler classes. Information is included on modern boiler water treatment techniques, construction and repair methods, waste heat recovery, controls, fuels, and draft. This new edition includes the latest information on instrumentation and PLC controls systems, variable frequency drives (VFDs), steam system optimization, reverse osmosis systems, and boiler start-up and shutdown procedures. 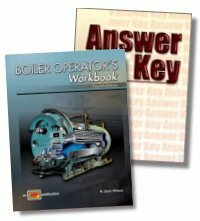 This format makes the book easy to use as a refresher for boiler licensing examinations and for industrial and vocational boiler classes. The expanded answers, many with illustrations, explain the theory and practice of steam plant operations in a clear, concise manner. Key terms are italicized and deﬁned in the text for additional clarity. 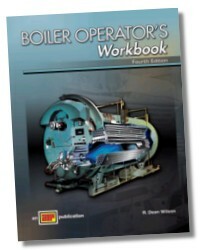 Throughout Boiler Operator ’s Workbook, math calculations are used to obtain information. On many licensing examinations, the ability to set up math problems, assign values, and solve the problems is assumed. Questions on licensing examinations may also test the ability to transpose and use basic math equations to obtain the answers. Examples of these math equations are included in the chapter where the equation is introduced. Additional explanation and sample problems are given on the CD-ROM included with the text. The CD-ROM is designed as a self-study aid to enhance information presented in the book, and includes Quick Quizzes®, Flash Cards, Master Math™, an Illustrated Glossary, Sample Licensing Exams, Media Clips, and more. The Quick Quizzes® provide an interactive review of topics in a chapter. Flash Cards present an interactive review of common boiler terms. 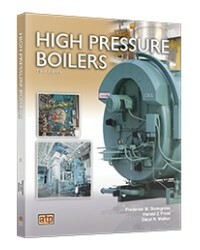 The Master Math™ problems provide a review of typical math problems encountered by boiler operators. The Illustrated Glossary provides a helpful reference to terms commonly used in industry. The Sample Licensing Exams button accesses four 25-question exams that provide practice in preparing for a boiler operator’s license examination. The Media Clips button accesses a collection of video clips and animated graphics. 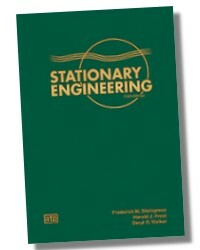 Contains answers, with solutions as appropriate, to all the questions in the Workbook.